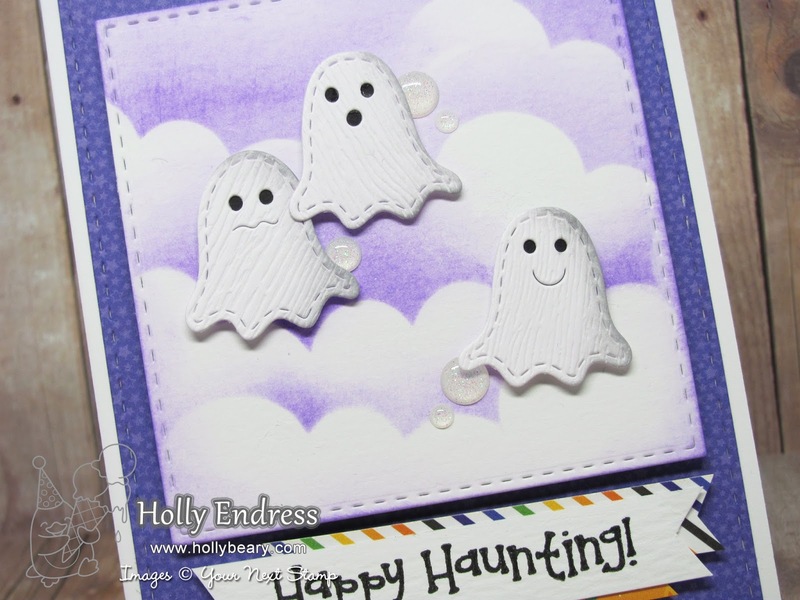 Hollybeary Creations : Happy Haunting!! 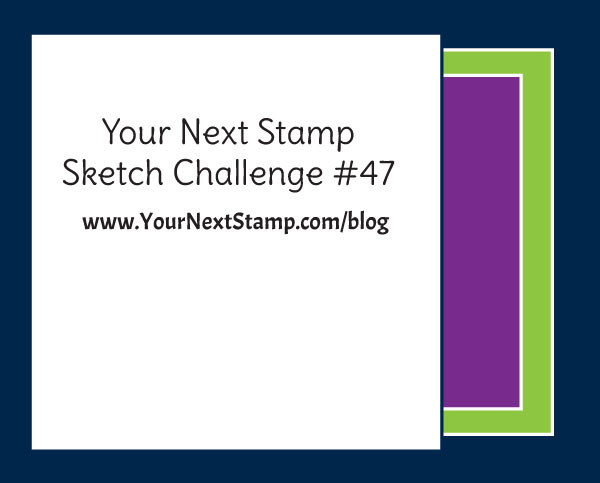 There's still time to join us at Your Next Stamp for Challenge #74. 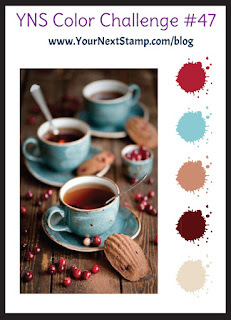 Today on the Blog the Design Team has a new round of inspiration using the Sketch and Color Challenge. I'm using the Sketch the week and the new Happy Haunting Die set. I started with a White card base and then I added a piece of Doodlebug pattern paper that I die cut with the Large Stitched Rectangle die. Then I die cut a piece of Watercolor paper with the Stitched Rectangle Dies and added some clouds with a template I made from the Puffy Cloud Border die set and some Wilted Violet Distress Ink. I adhered the Stitched Square to the card front with some Fun Foam. Then I die cut the Ghost from the Happy Haunting set using Woodgrain card stock and added a little shading with some Smoky Slate Distress Ink and a small piece of Black card stock behind the eyes. I adhered them over the clouds with some Foam Tape. For a pop of sparkle I added some White Sugar and Sparkle Gumdrops. 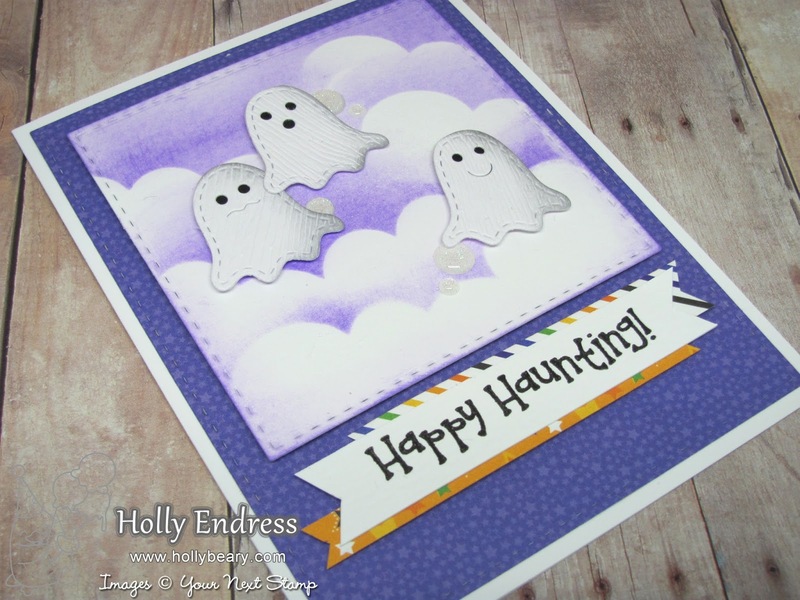 I stamped the sentiment from the Waddles Trick or Treat set onto some Watercolor paper and trimmed it in to a Banner. I added two pieces of coordinating patter paper behind the sentiment as well. 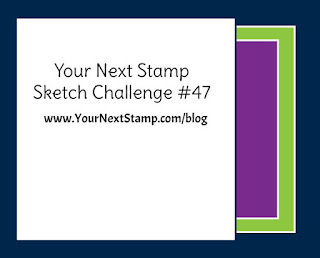 Head over to the YNS Blog for some more inspiration with this week's Challenge. There's a $15 GC to the store up for on lucky participant. The Linky will close on Thursday Sept. 15th. Oh my goodness this is super cute! !! !